Dental implants have become more popular during the last 25 years as the most effective and reliable method for replacing missing or damaged teeth. 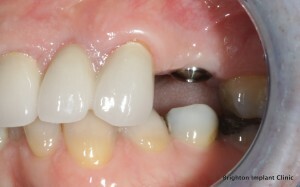 The success rate of implant dentistry depends upon a number of factors. These include the amount and the condition of the bone at the site of the implant, the accuracy of the placement of the implant, the design of the implant, the general health and lifestyle of the implant recipient, and whether the recipient follows the recommendations of the dentist regarding the care of the implants. Implants have to be inserted at locations in the upper or lower jaw that have sufficient bone density to allow the implant to wedge firmly within the bone tissues. Spongy bone, which is more prevalent in the upper jaw than in the lower jaw, can break down under the pressure exerted by the implant. The breakdown of the bone in the vicinity of the implant will produce voids that will be occupied mainly by clotted blood and fibrous tissues that in turn will hinder the formation of bone cells around the implant. Without full contact with bone tissue, the implant cannot be held within the well in which it had been inserted. The presence of various medical conditions such as diabetes, hypertension, periodontal disease, endocrine disorders, and so on can affect the rate and quality of bone growth and therefore the healing time of an implant. Sufficient time is required before bone can grow around the implant and therefore before the implant can be loaded. This time varies with the general health of an individual. Smoking has an observable negative effect on dental implant success rates. Excessive consumption of alcohol or the use of medication can also affect the condition of the bone around the implant.The recipient of an implant also has to follow a schedule of follow-up consultations with the dental team who will continually assess the condition of the implant and recommend additional procedures, if need be. 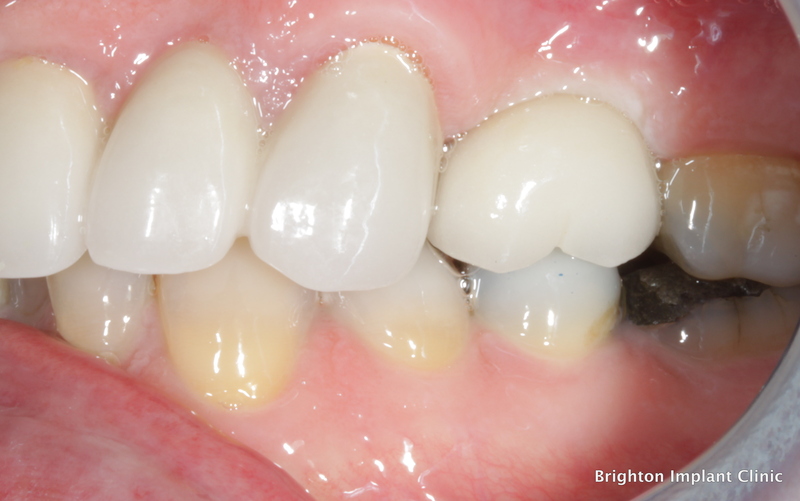 The recipient also has to ensure that oral hygiene is maintained so as not to compromise the health of the bone surrounding the implant and the health of the other teeth (if present) that certainly also affect the environment around the implant. Brighton Implant Clinic provides implant dentistry to patients across the UK. A completed dental implant costs from £995 including the implant, abutment and crown.